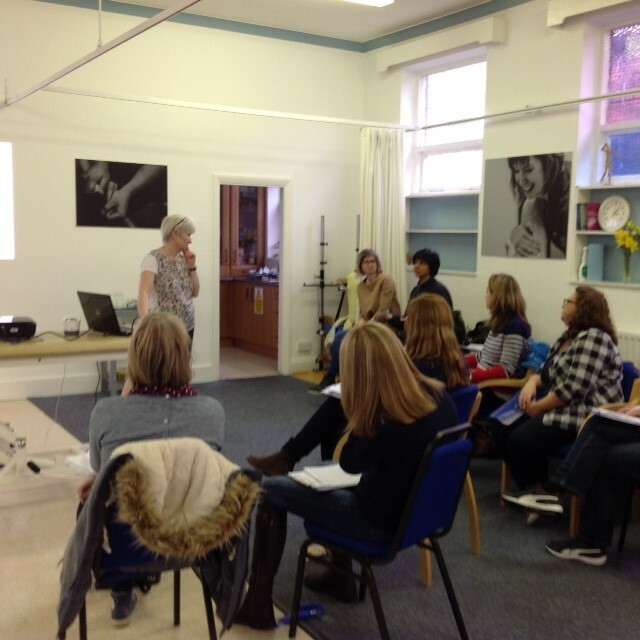 A weekend PD study day was held at MNC on Saturday 18th March. The course was taught by Dr Bhanu Ramaswamy OBE and Fiona Lindop Specialist Parkinson’s Physiotherapist. They both have a wealth of experience in Parkinson’s and were directly involved in producing the European Physiotherapy Guidelines for Parkinson’s Disease. The course, ‘Parkinson’s: Application of evidence into practice’ was an excellent combination of theory and practical. A contemporary overview of Parkinson’s including neuroanatomy, non-motor symptoms and the review of non-idiopathic Parkinsonism was fascinating and informative. It raised our awareness of the complexity of symptoms in individuals with PD and other associated conditions. The clear and systematic assessment and use of outcome measures highlighted the importance of an individualised assessment asking appropriate questions as well as taking measures that link to function and quality of life. Overall, the most striking aspect of the whole course was that with a greater understanding of PD there is a much more positive outlook for those affected. Local PD groups are becoming more active and organised and offer support to many people around the country. There is a lot we can learn from people directly affected by PD. Thank you to our model on Saturday and also to all the people involved in the video’s. Finally, thank you to Bhanu and Fiona for an amazing course and to all the course participants who attended.